The trailer for #ALTBalaji’s new show ‘Hum – I Am Because Of Us’ is out and it is amazing. The life of three ordinary sisters in the big city, tells an incredibly extraordinary story! 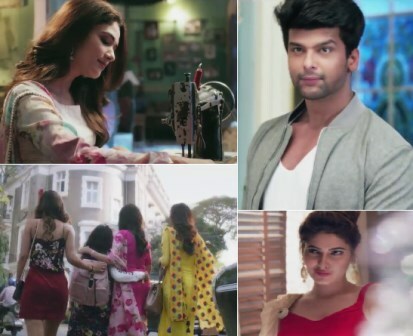 ALTBalaji’s new family drama titled ‘Hum – I Am Because Of Us’ is nearing its launch and the makers today unveiled the trailer for the show. The trailer features Kushal Tandon, Ridhima Pandit, Karishma Sharma and Payal Bhojwani in pivotal roles. The show focuses on the strong bond between the three sisters and how their individual desires and ambitions change their relationship and affect this bond when destiny brings them to Mumbai. While Kushal and Ridhima are making their digital debut with the show, this is Karishma’s second association with ALTBalaji. Directed by Parth Mitra, the show also stars Satyajit Sharma in a pivotal role and will stream on the ALTBalaji app and the website on 30th July 2018.